With technology improving each and every single day, it seems somewhat possible to make everything and anything virtual these days! If you don't have any credit on your phone to make a call, you can now call people through various social media apps, if you don't want to pop out in that horrendous rain to go get the daily newspaper, you can now read them online, and if you want to visit your local stables, but can't get there, you can now tend to horses online - all thanks to Star Stable! Maybe you've never visited your local stable, or have a local stable around, maybe you love horses, but are afraid of real ones, maybe you'd love to have a horse but can't afford the expense or need some practise first? If any of those apply to you, then Star Stable is the place for you join, and I've luckily been offered the chance to giveaway 6 months worth of membership to one of my lucky readers worth £18.90! 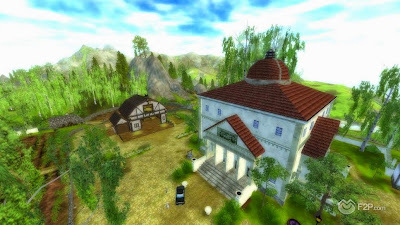 Join over 4 million online players as you explore the beautiful 3D island of Jorvix by riding on the back of your very own virtual horse, currently ranked number one in the Virtual Horse Games ranking! The game is free to play up until level four, which is great for a little bit of practise before you set yourself up for the bigger challenges! Subscription can be paid for one month (£4.95), three months (£11.95), six months (£18.90) or a lifetime subscription for £49! Whether you want to play for yourself, or for your children, enter the competition below for your chance to win this amazing prize!